Incoming: The Menzingers, #iVoted Free Show with Tall Heights, Hank von Hell (Formerly of Turbonegro), Power Trip, Sumac, Rubblebucket, and More! Happy Friday! 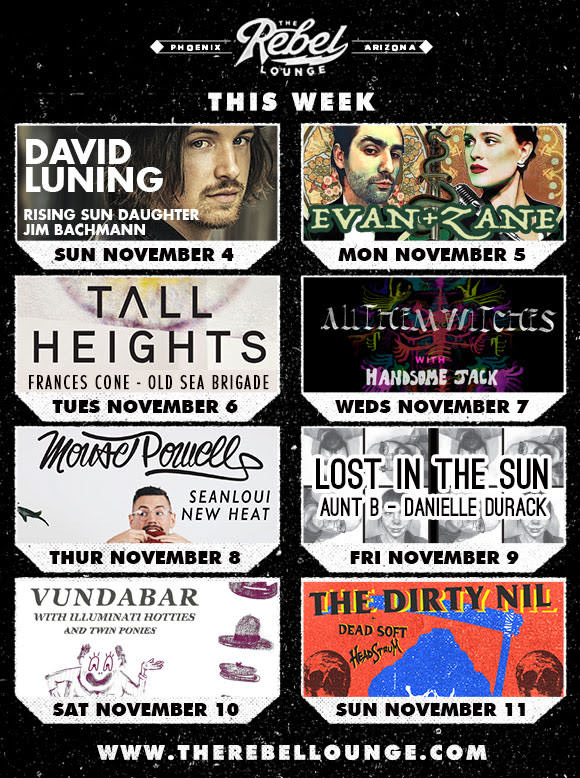 This weekend is a busy one – tonight we’ve got shows with THE MENZINGERS, POWER TRIP and AS I LAY DYING (sold out), and even more great stuff is right around the corner. 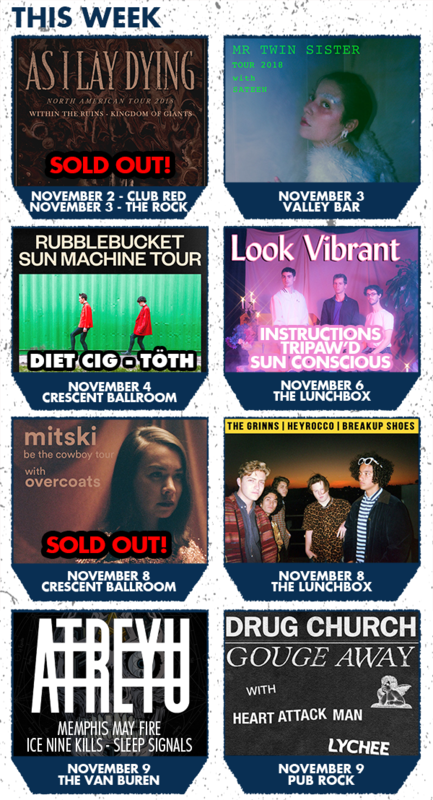 Scroll down to see all the cool stuff going on this week. 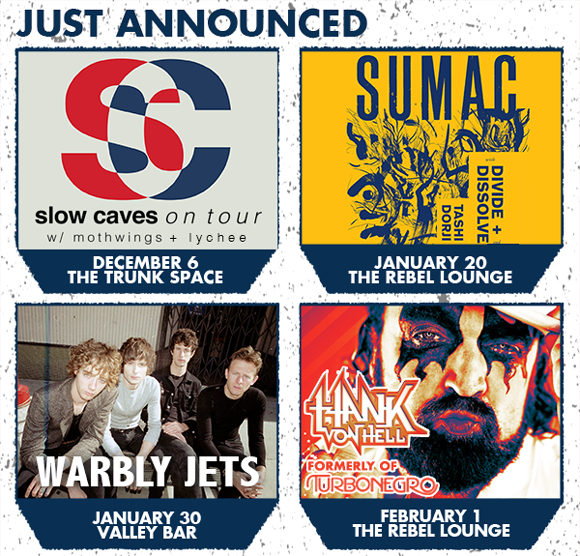 We also added a section below with ticket giveaway contests for shows like MEWITHOUTYOU, EVERY TIME I DIE, ALL THEM WITCHES and more. Check it out and have a great weekend! 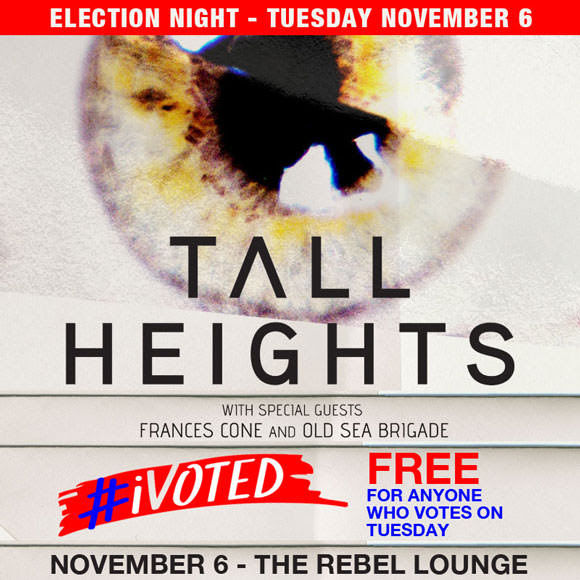 We are teaming up with #iVoted and Tall Heights to make the Tall Heights show on Tuesday November 6th at The Rebel Lounge FREE to anyone who votes in Tuesday’s election. Simply show your “I Voted Sticker” or any other proof at the door on Tuesday night to get free entry. 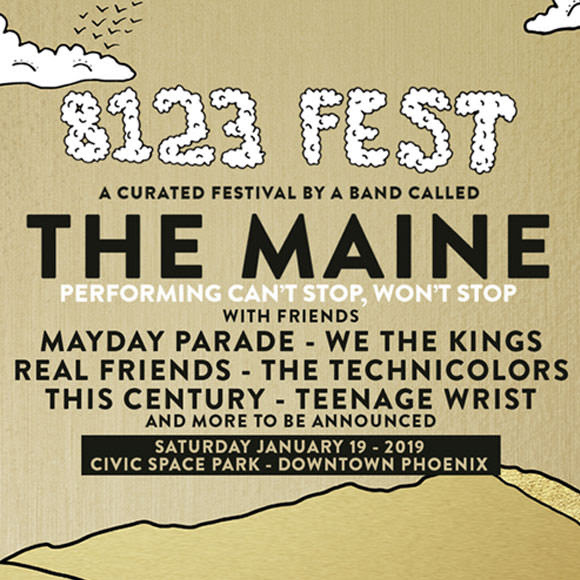 Enter to win two tickets to the show!